Just as for our heart, each of our chakra points has a ray associated with it. These rays are bi-directional so they receive and transmit. They can be directed anywhere in time and space and focused, softened or strengthened. From our Third Eye, in the centre of our brain, emanates a subtle and often dormant ray called the Pineal Ray. When it is activated, we become claircogniscent – that is we can ‘know’ things that we don’t know. Just as for the Heart Ray, the Pineal Ray can be pointed in any direction as below. You can point the Pineal Ray at any object and extract information from it. Note that if you use it on a person, you should obtain their permission. The object can be in front of you or be imagined at any time in the past, present or future. If you want information of a more abstract kind, like what is the nature of dark matter or the title of your next blog, you just point it upwards through your crown and alpha chakra. To obtain wisdom about past events, and their significance in the presence, just point your Pineal Ray out of the back of your head. The Pineal Ray can be used internally to interrogate and consult with our inner mind centres such as our heart and gut. We can take their council on decisions. You can also consult with the Earth Mind as to the ecology of actions by directing the ray right through your root and omega chakras. 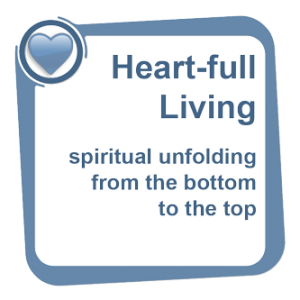 The Heart-full Living course has now been augmented to include a pineal ray activation. So if you want to explore this amazing super-sensibility yourself, you can. As well as activating your Pineal Ray, you will also open up your inner mind centres, unify your chakras and enhance your Inner-Sight.